What Is the Default Username and Password for Raspberry Pi's Raspbian? Like many devices, the Raspberry Pi (with all the glory of standard Raspbian 7 New Raspbian Features to Start Using on Your Raspberry Pi 7 New Raspbian Features to Start Using on Your Raspberry Pi Lots of new features have been added to Raspbian. Here's what to look out for, why these features are useful, and how you can start making the most of them. Read More ) comes with a default password. And as you probably know, leaving the default password on anything is incredibly insecure. Since it’s easy to find the stock credentials for all sorts of devices online, anyone with malicious intent will certainly try them first. If you forgot the default password for your Raspberry Pi, or never changed it, we’ll show you what you need to know. According to RaspberryPi.org, the default username on Raspbian is pi and the default password is raspberry. To protect your Raspberry Pi from online threats 5 Online Threats That Could Ruin Your Raspberry Pi Experience 5 Online Threats That Could Ruin Your Raspberry Pi Experience You're happily using your Raspberry Pi. Perhaps it's a game center, or a media center. Hopefully you've tried a few other uses for this incredibly versatile little computer. But is it secure? Read More , you should immediately change the default password. The latest versions of Raspbian prompt you to do this upon installing, but you might still be using the default if you installed a while ago. When logged in, open a Terminal window. Enter the passwd command and press Enter. The system will prompt you to confirm your current password. After this, enter your new password twice, pressing Enter after each entry. As is the Linux standard, you won’t see any characters while entering this password. If everything worked properly, you’ll see a password updated successfully message. This means that you’re good to go with the new password. Make sure you remember it! For reference, if you ever need to remove the password from an account on your Raspberry Pi, you can use the command sudo passwd [USER] -d. Of course, it’s wise to keep a password on all accounts. Looking for more? Check out this guide to Raspberry Pi terminal commands. Changing the default password is only one of the many ways you should ensure that your Raspberry Pi is secure Is Your Raspberry Pi Safe and Secure? Is Your Raspberry Pi Safe and Secure? The Raspberry Pi may be the tech world's prodigy, but it's still vulnerable to remote attacks and intrusion. We show you how to protect it. 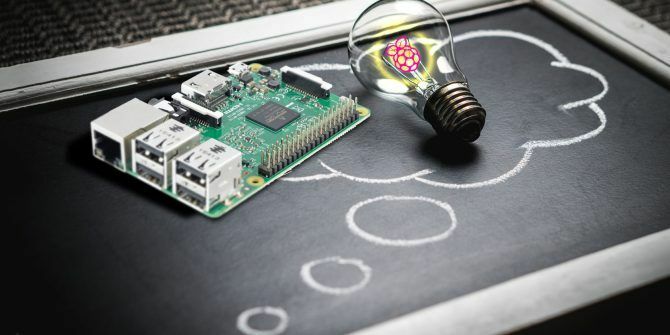 Read More (indeed, you also need to keep it updated 5 Reasons to Update Your Raspberry Pi and Raspbian Regularly 5 Reasons to Update Your Raspberry Pi and Raspbian Regularly Lagging behind on Raspberry Pi updates can cause a lot of frustrations in the long run. Read More ) so take a moment to check yours. Explore more about: Password, Raspberry Pi, Raspbian.